Two wildfires — which both broke out out Friday— scorched through Monterey County and Santa Clarita Valley, putting both areas in a state of emergency Tuesday as firefighters battle to contain the blaze. The wildfire that swept through Santa Clarita Valley, known as Sand fire, has already burned 38,346 acres and destroyed 18 structures, according to Los Angeles County Fire Department inspector Joey Marron. He added that the fire remains 40 percent contained and that there are still 2,937 firefighters on scene. The aftermath of the fire outbreak contained drastic weather conditions as temperatures remained hot and dry with poor air quality and high winds, said Amy Kim, a resident of Valencia, California, a city in the Santa Clarita County. The second wildfire, known as Soberane fire, which erupted near Big Sur, has spread to a total of 23,668 acres and remains 10 percent contained, according to Cal Fire Information. The fire destroyed 20 homes and has prompted the closing of many nearby California state parks such as Point Lobos State Natural Reserve and Julia Pfeiffer Burns State Park. Marti Witter, a fire ecologist at Mediterranean Coast Network, indicated that the Soberane fire has potential to grow larger since the temperature there remains high, unlike the weather conditions in Santa Clarita, where the temperature is decreasing. Both wildfires reveal a problematic trend of fires becoming significantly more damaging and destructive. 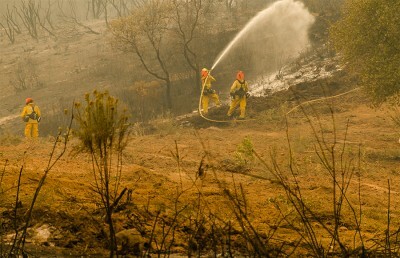 The main causes of reasons for the surge in wildfires in California, according Witter, are years of severe drought and critically low levels of live fuel moisture and rainfall that resulted in an abundance of growth in fine fuels such as grasses and shrubs. 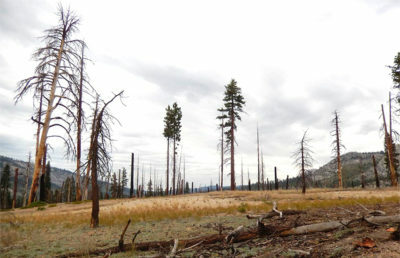 She added that these conditions contributed to forming environments that are now more susceptible to igniting wildfires. 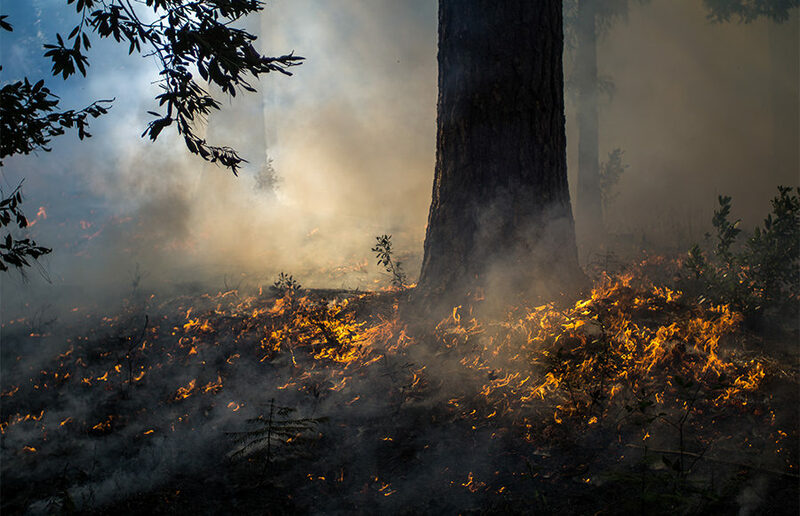 Trends in wildfires, according to Stacey Frederick, a program coordinator at the California Fire Science Consortium, have become more “catastrophic,” meaning that fires are growing larger and causing severe impacts on the environment, such as the amount of tree deaths per acre. Campus adjunct professor and forest pathology specialist Matteo Garbelotto, added that the high density of trees in forests because of cumulative years of lack of effective forest management and fire exclusion methods is also a cause of the increase in wildfires, since a larger number of trees allows fires to quickly spread and burn more intensely. 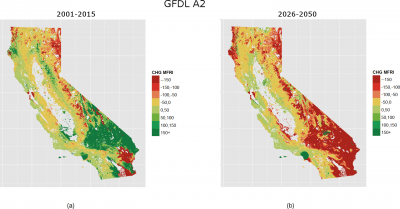 While large wildfires draw concern toward California undergoing climate changes and forest management methods, they also significantly increase the money required to contain large fires and rebuild destroyed buildings. “California definitely has the largest losses from wildfire in terms of dollar value and structures lost,” Witter said.